Catcher Technology will remain the largest chassis supplier for the upcoming line of next-generation iPhones, tentatively referred to as the "iPhone 7," according to the China-based Commercial Times (via DigiTimes). Sources noted that Catcher's non-Apple clients, representing about 40 percent of its overall sales, will keep it going until the majority of its output begins with the manufacturing of the iPhone 7 later in 2016. In total, Catcher Technology's manufacturing supply is estimated to account for 30 to 35 percent of the shipment numbers for the iPhone 7. The report also mentioned the continuing rumor that the iPhone 7 may be a completely waterproof device, building on the recent momentum that the iPhone 6s and iPhone 6s Plus had this year that showed improved water resistance. The Commercial Times also spoke of "new compound materials" that would be put in place to form a discreet housing for the iPhone 7's antenna, suggesting the possible removal of the bands from the back of the current iPhone generation. As a non S-generation year, the iPhone 7 is expected to be a big step-up from the iPhone 6s and 6s Plus, in terms of design and functionality, when it launches next year. 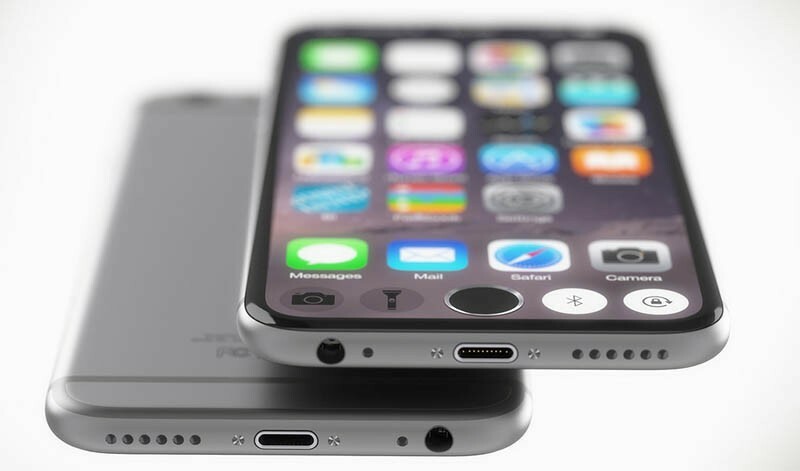 Besides a waterproof design and now the possibility of a hidden antenna band, another rumor suggested Apple could be phasing out the 3.5mm headphone jack for an all-in-one Lightning connector port. Forget water-proofing. I want one that is Government spying-proof. Anyone else waiting for this iPhone? The iphones been waterproof since ios7. Please no lightning connector flap for water proofing. All-in-one Lightning port sounds good. ^ This. I'm amazed a company renowned for design has released phones with such low design standards! Many of those "low" standards have more to do with Apple not being able to defy physics...but you know, who cares about that right? Waterproof will most likely happen considering the 6S is almost waterproof. Just please, no protruding camera, no phone so thin that it bends instantly, no lack of headphone jack, and no ugly antenna bands. Nope - - you're the only one. If it looks like that I’ll buy two. Puleeeezzz Jony and all will be forgiven. I’ll also stop moaning about the 16GB base storage. (I’ll still moan about the camera if it sticks out tho). That’s the best looking phone I’ve seen to date from any manufacturer. Not being waterproof isn’t a deal breaker either.